Research associations, faculty, and university administrations alike are welcoming the return of a Statistics Canada survey that supporters say will provide crucial data on the Canadian academic landscape. Federal Minister of Science Kirsty Duncan announced the reinstatement of the University and College Academic Staff System (UCASS) survey on Sept. 9. Nixed in 2012 due to budget concerns, the data collected paints a full picture of Canada’s research academy, including the age, gender, and pay-scales of full-time university faculty members. “It represents another step our government is taking towards establishing evidence-based decision-making, while encouraging a more diverse and inclusive country,” Duncan said at a press conference at Western University in southern Ontario. David Robinson, executive director of the Canadian Association of University Teachers (CAUT), said the information provided by UCASS is a vital resource for policy-makers looking at student-faculty ratios or making decisions about new institutions or programs. “It’s a good planning tool, but it’s also, I think, a very important way in which we can monitor progress on important issues like equity,” he said, noting that the information helps identify gender pay gaps and monitor the progress of women in academia. “It’s the only data we have on how many female teachers teach in engineering across the country. That’s important to know for obvious equity reasons,” he said. Beyond research and social planning, the data also plays a significant role at the bargaining table, giving both faculty associations and institution administrations an impartial look at pay-scales for similar position around the country. The last time this data was made available was in 2012 and while researchers at Western University made attempts to replicate the survey, they only received responses from about 80 per cent of schools, according to Robinson. The holes in data impacted negotiations, he said. “It can make it more difficult because you’re kind of shooting in the dark in some ways,” he explained. U of M administration and the University of Manitoba Faculty Association (UMFA) are currently negotiating a long-term agreement. Talks have been scheduled through to the end of the month. 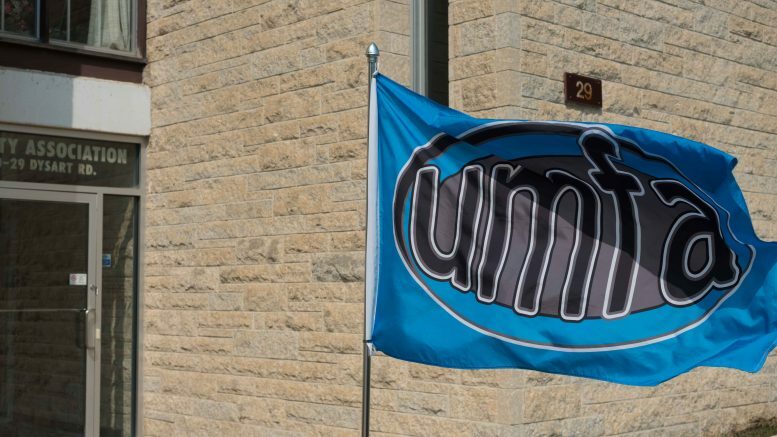 UMFA president Mark Hudson said he is pleased the survey is being revived, noting data collected by Statistics Canada, an independent third party, keeps the information objective at the bargaining table. It is “important for helping us get a handle on how we are progressing in terms of a lot of our larger social goals, equity in the academy being one of those important goals,” he added. Both the the Canadian Psychological Association and the Canadian Consortium for Research – which includes 20 organizations representing researchers in all disciplines across Canada – have lauded the return of the survey. Prior to 2012, the survey ran annually dating back to 1937. Robinson said the revived survey may also be expanded to include part-time instructors as well, which he said make up nearly one third of Canadian university faculty. University of Manitoba executive director of public affairs John Danakas said in an email the university is taking a closer look at the survey and its implications before issuing a statement.